On this (magic number!) 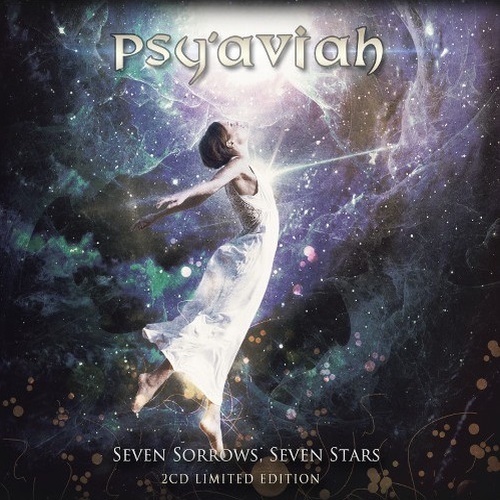 7th full length release, PSY’AVIAH creates some distance from its darker and almost depressive roots taking us towards more joyful and positively driven atmospheres while keeping his unique emotional and almost ghostly creative touch intact. The lyrics deal more this time with magic, wonders and mysteries and beautifully match with the band’s characteristic sound-mix of futuristic electro, moody trip hop, floating ambient and other groovy eurodance. Of course there are still here some songs which defend the more “sorrowful” part of the album and reminds us of PSY’AVIAH’s darker side: like for example “Alcubierre Drive” featuring once again lush guest vocals by Kyoko Baertsoen (ex-HOOVERPHONIC, LUNASCAPE) and her unique timbre fitting so well this blend of trip-hop rhythms and EBM basslines; or yet the melancholic and moving “Looking Back” and the very expressive voice of David Chamberlin (ENTRZELLE). But the album definitely has this kind of interstellar shining touch, offering a unique kind of modern synth pop with an upbeat futuristic twist reinforced by another impressive intelligent selection of vocalists. Take for example the alt-pop “Frozen” which is fusing energy and soul with stunning vocals by Andrew Galucki, or yet the more house / 80’s e-pop approach on the dancey “Liberosis” and its driving synth lines, club beats and awesome voice of Alvin River, the loud e-pop “Face to Face” with Roeland van der Velde (MODEL DEPOSE), the addictive body-pop song “From another World” with Bernard Feron (MED, COMBAT VOICE…) as well as on the album’s new mega-hits “Not what I expected” that is a sort of frontal floor-packing track with incisive synth lines, hypnotic grooves à la PRAGA KHAN lead by strong female vocals with attitude by Fallon Nieves. “Seven Sorrows, Seven Stars” is an album that speaks to both body and mind. You can dance to it all night or enjoy it in full simplicity with candles on for some positive moments with friends… PSY’AVIAH delivers a true chef d’oeuvre full of emotional contrasts and dynamic vibes, capturing irrational moments of life across the universe. Tracklisting CD2: "From a different Perspective"